Cabbage and Tobacco had many of the same ideas and thoughts about the world, so he was happy to work the first shift with her. As an observation technician he would mostly sit all shift which suited him just fine. Getting up at 4 in the morning wasn’t really his style though. That was probably why he ran a bit late for breakfast. It didn’t matter, he didn’t see Tobacco around. What she didn’t know wouldn’t hurt him. 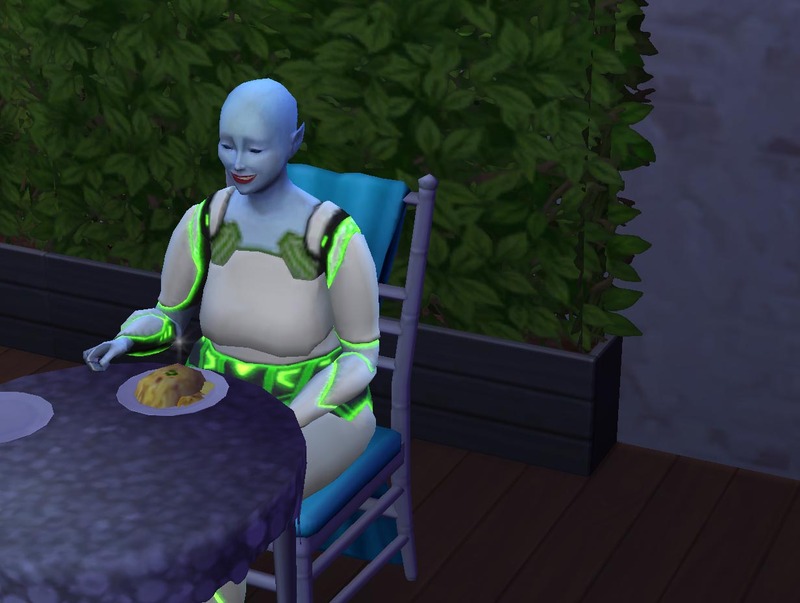 Aster was already eating and Sandlewood sat at the table with him, so Cabbage was forced to take a nearby seat and talk to Aster at a distance from a different table. That didn’t stop him. He knew Aster, and Sandlewood wasn’t someone either of them were likely to befriend. Kale was heading for the other seat at his table and Cabbage winced. One never knew what that one would do next. He concentrated on his food then. It was a good thing. Tobacco was coming to sit down when he headed for his post. “Good morning Cabbage. I’ll be in my office today if you need anything.” Tobacco winked at him as she said it. “That’s good to know. 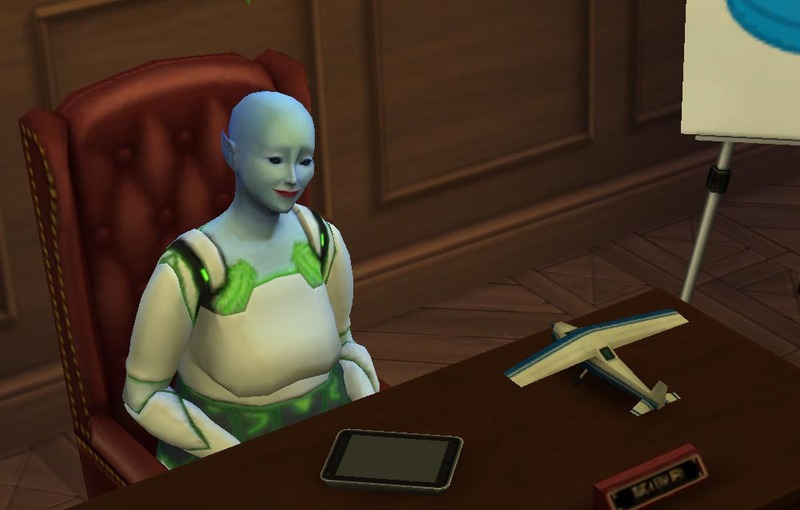 I’m just on my way to start observing the human sims.” Cabbage knew that Tobacco was unlikely to cause him trouble. There were others here that she liked much less than him. Besides, he knew the true goals for the mission. Tobacco had a quiet breakfast as most of the others had already eaten. Then she headed to her office, determined not to step out of it before her shift was over. In her office Tobacco waited, and waited, and waited. No one stopped in to talk. She found herself yawing by the middle of the day and as her shift crept to an end two things became clear. The first was that her office needed a bathroom attached and the second was that being in an office really didn’t suit her. When she left both bathrooms on the upper floor were full and she was forced to use the one in the cell. How embarrassing. 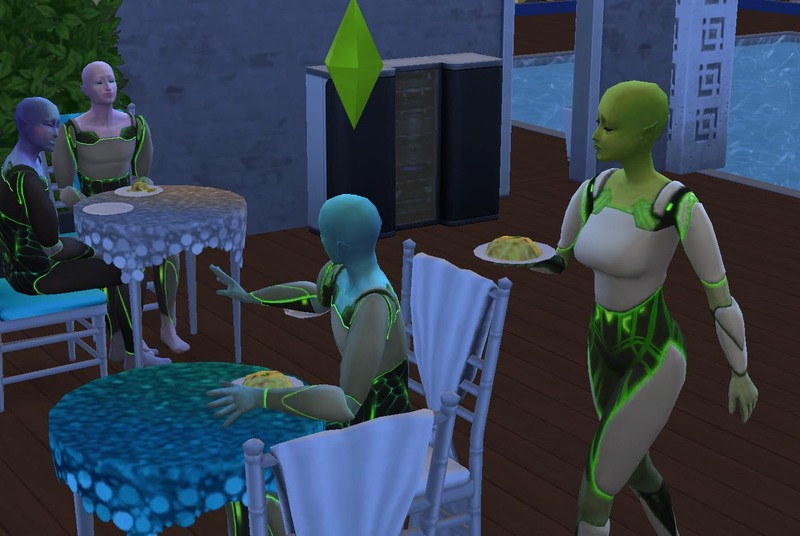 Although being there made her cackle in joy thinking of the sims they would get to torture, probe and study very soon. After that last sinister line, I was a little ambivalent about clicking like, lol. But this is shaping up to be a great story. Thanks! I’m doing a lot more storytelling than Sim watching it this one. I’m really grateful for all of your comments. I look forward to them.